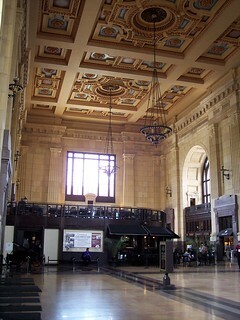 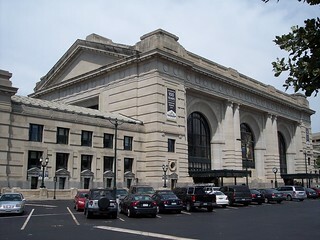 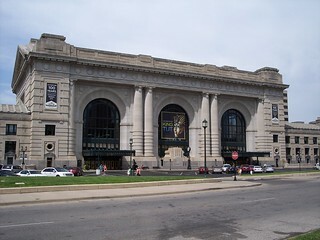 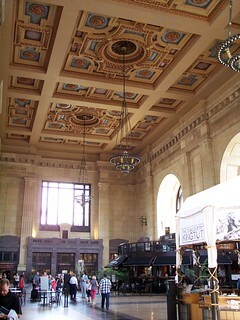 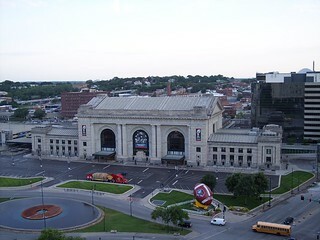 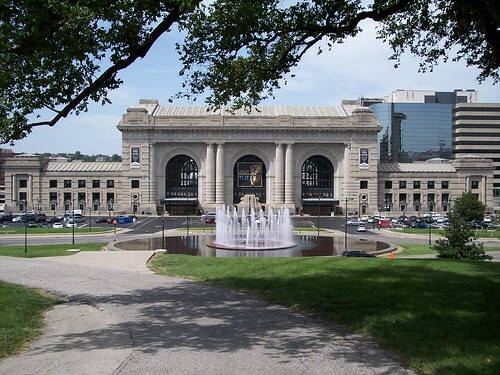 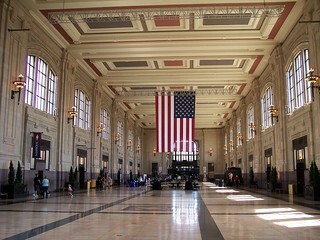 Kansas City has a very nicely restored Union Station. 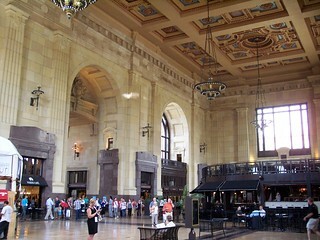 The Grand Hall and a former ticketing area. 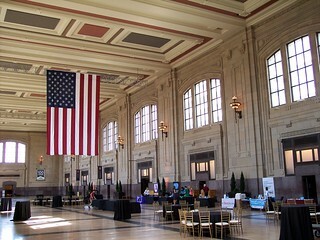 More photos of the Grand Hall and the view into the former Waiting Room. 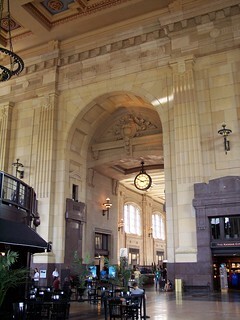 Lining the former Waiting Room are doors that led to the platforms and tracks that at one time were below. 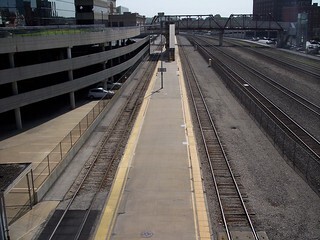 Today the active tracks and Amtrak platform are just beyond the building. 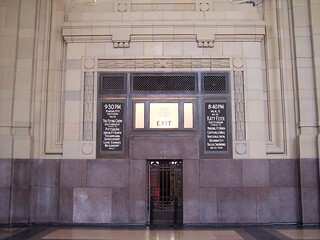 A closer view of one of the doors that once led to the platforms below. 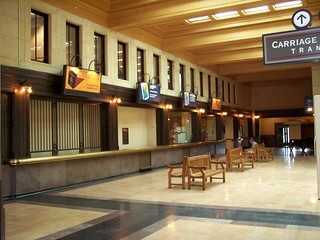 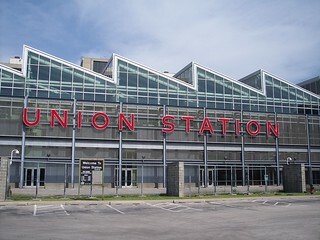 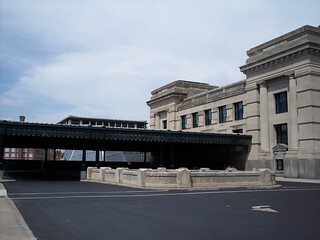 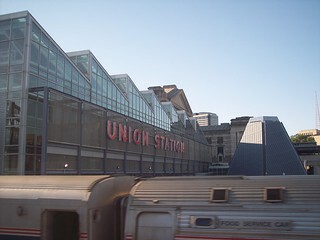 Standing in the former platform and track area, the former Waiting Room is behind the modern Union Station sign. 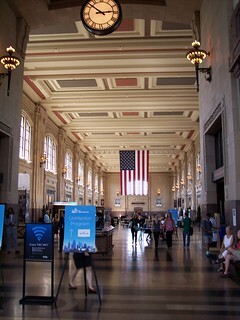 The current platform used by Amtrak, and a view of the station from the Southwest Chief. 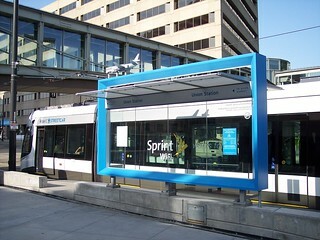 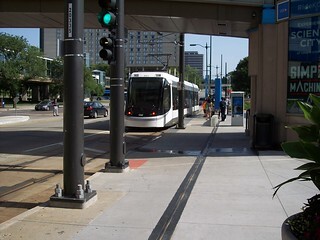 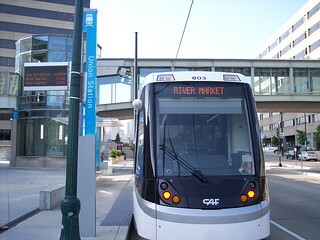 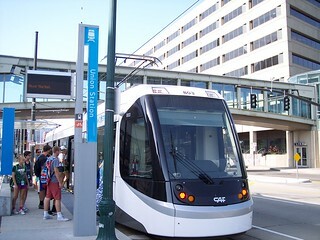 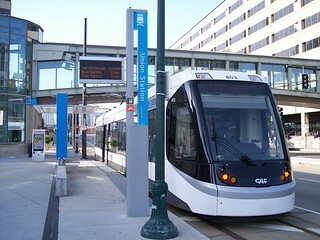 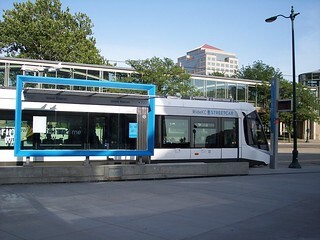 The RideKC Streetcar at its last stop at Union Station. 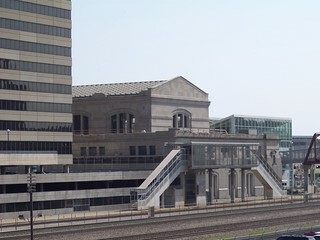 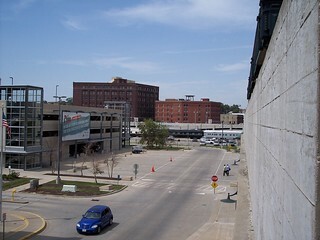 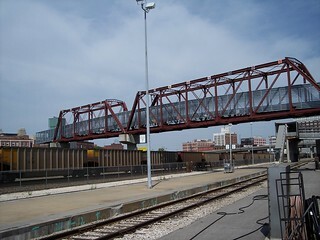 At one time the platforms occupied the space next to the parking garage.